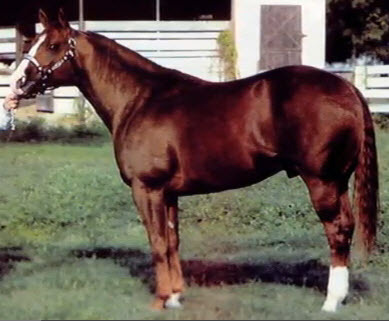 Dually Pep was bred by the great American horseman and breeder of many champion horses Greg Ward. He foaled in 1995 but sadly Greg passed away after battling cancer when Dually Pep was a 3-year-old. 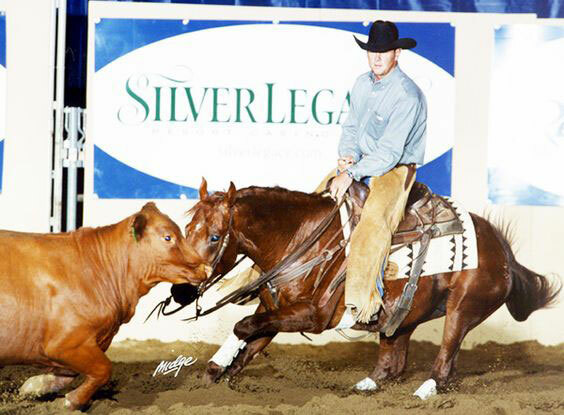 Despite this he was the San Diego Derby Open Reserve Champion, and 1999 Super Stakes semi-finalist, as well as qualifier for the AQHA World Show. His lineage is outstanding, being the youngest full brother to the sire of over $20 Million, and earner of $307,384 Dual Pep. 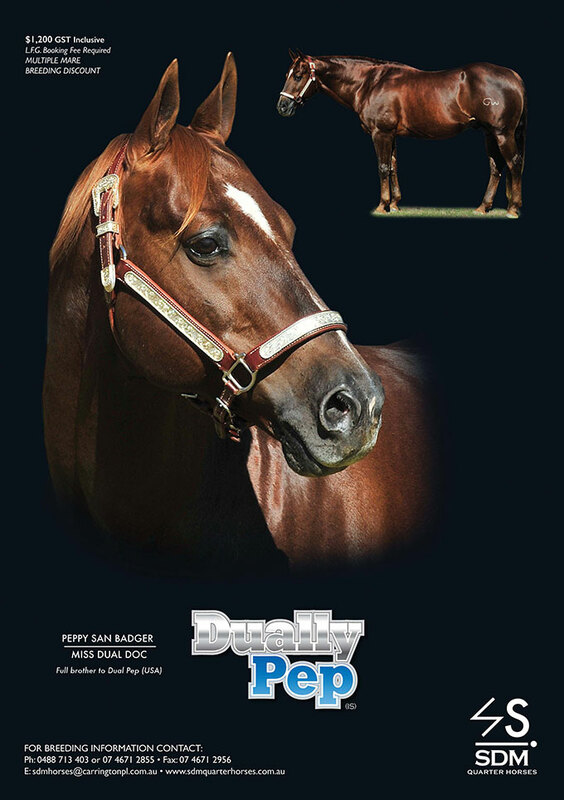 He is also a full brother to Dual Peppy (US NCHA $86,061), the sire of progeny earnings over $500,000; and Mister Dual Pep (US NCHA $43,929), the sire of progeny earnings over $2 Million. Both are leading Reined Cowhorse sires. Dually Pep is also a half-brother to Just Mister Dual (US NCHA $137,904), Nitro Dual Doc (US NCHA $52,493), and Miss Plain Dual (US NCHA $52,001). 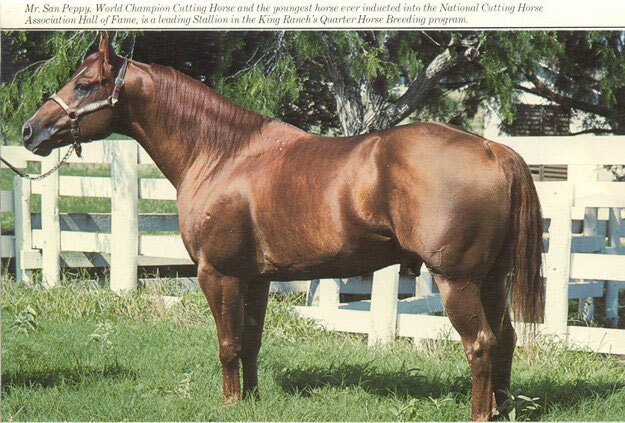 Dually Pep’s sire Peppy San Badger won both the NCHA Open Futurity in 1977 (USA) and NCHA Open Derby in 1978 (USA). He is an NCHA Hall of Fame Inductee. His progeny earnings exceed $26+ Million. Dually Pep’s dam has produced progeny with earnings over $790,000. Dually Pep is very correct, balanced, and good boned. These traits he passes through to his progeny, which are very similar in type to the Dual Pep’s. He is a completely balanced type which directly translates to the way he moves. He, like his brother Dual Pep, are the most seamlessly, fluent moving horses – effortlessly gliding along; distinctly setting them aside as exemplary, special individuals. 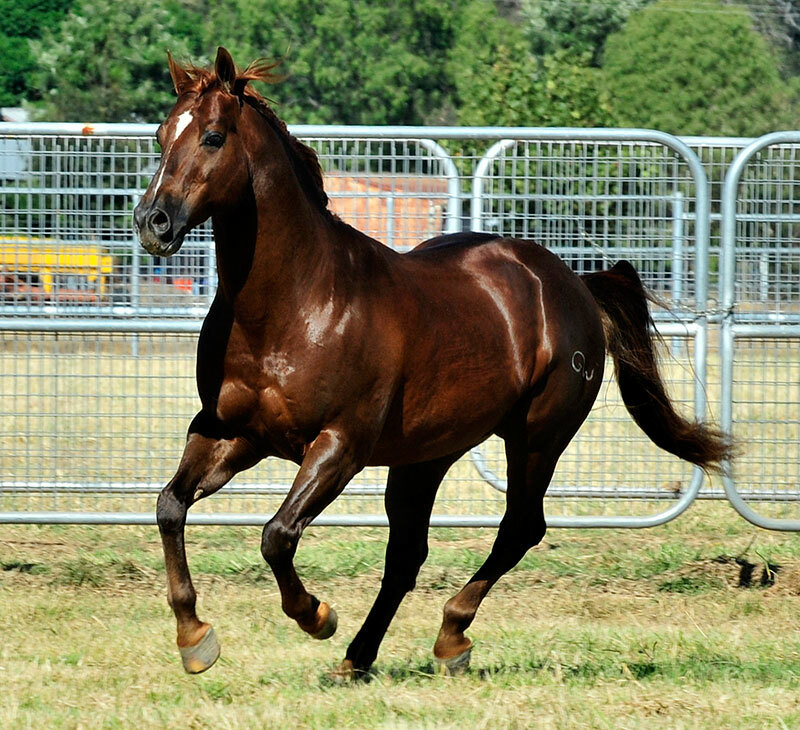 Dually Pep will sire Cutters, Cowhorses, Reiners, Ropers, Campdrafters and Challenge horses. His foals are quiet minded, great travellers and athletic. They are sound, sure footed and cool. 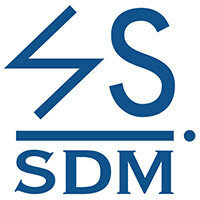 They have heart, are uncomplicated, smart and interested in the work. 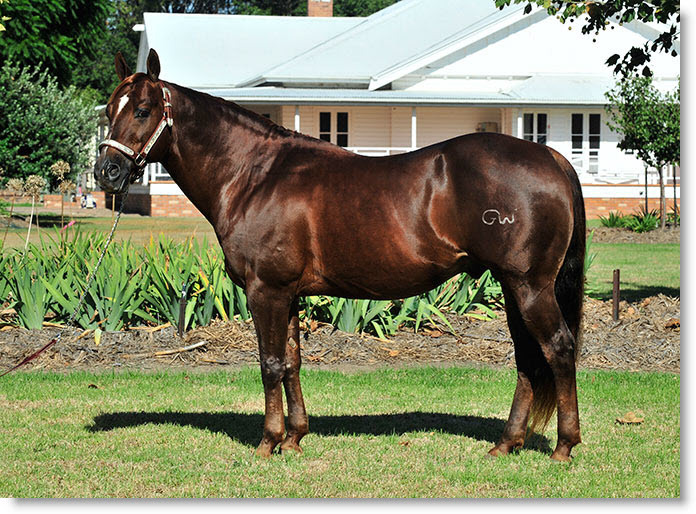 Perhaps one of the most proven pedigreed studs to ever be imported to Australia, Dually Pep presents an opportunity to breed to steadfast but current genetics that have – and will – stand the test of time. 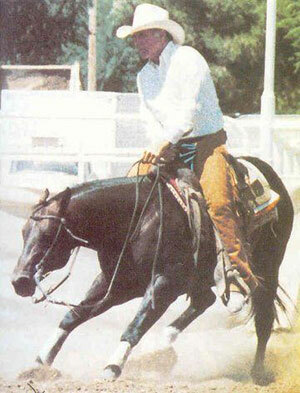 In the US, Dually Pep is the sire of the 2012 West Coast Reining Horse Association Horse of the Year, Doctor Dually Pep. 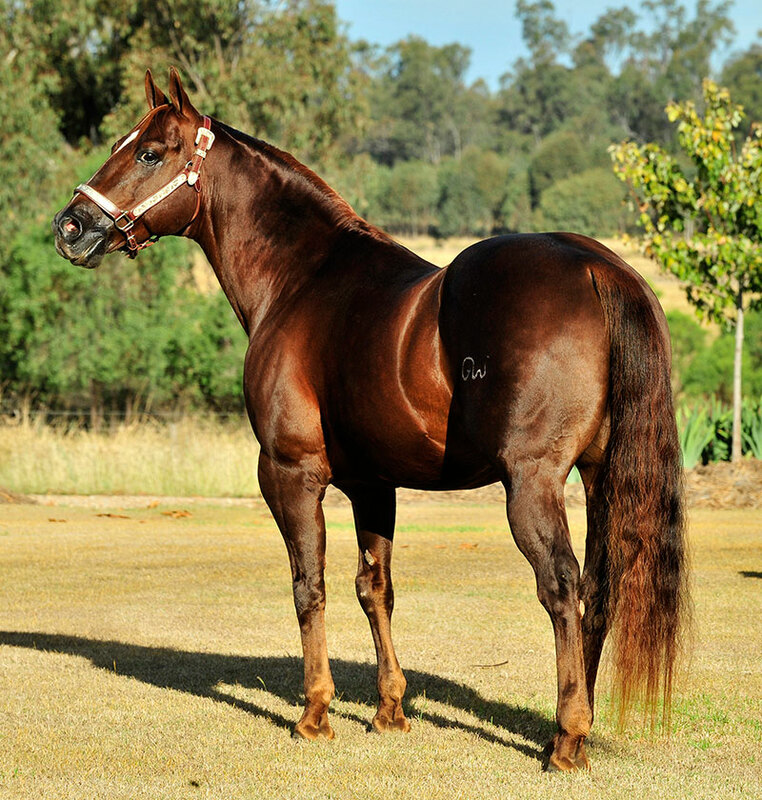 In Australia he is sire of Reiners including Texas Eye Candy; Ropers including Leos Two Step; and Cutting horses including Dually Miss Daisy and Love Potion. NCHA Hall of Fame. NCHA Open Futurity Champion (USA) and NCHA Open Derby Champion (USA). An All Time Leading Cutting Sire, and an NRHA & NRCHA All Time Leading Sire, siring earners of over $25 Million; including LITTLE BADGER DULCE (NCHA Horse of the Year, NCHA Open Reserve World Champion, NCHA Open Futurity Reserve Champion). – There are great images at the beginning and the end, as well as footage of Peppy San Badger in action. Dam of 11 money earners earning over $729,407 including: DUAL PEP $313,192. NCHA NP Challenge Champion, NCHA Breeders Cutting Classic Reserve Champion, NCHA NP Classic Champion, NCHA Classic Champion, #7 All Time Leading Cutting Sire, and more. Mr San Peppy was intended for the racetrack but ended up in the cutting arena. He was the 1972 NCHA Open Derby Champion (USA) and a 2 time NCHA World Championships winner. Clicking on the link will lead to the horse’s listing on the Pedigree Online Stud Book register. Artwork by Tracey McClurg, Australian Horseman Magazine.